This important congress held every 4 years, brought together academics, geotechnical andenvironmental engineers, manufacturers and suppliers to Brazil to share and learn the latestinformation and technology in the global geosynthetics market. Spread over 5 days in May, attendees attended training courses, technical sessions and networkedwith their peers and renowned experts in their respective fields. The theme of the congress for Maccaferri was ‘Your goal for geosynthetics’ and was an opportunityto show that the company’s diversification strategy is continuing with increasing presence in thegeosynthetics sector. Maccaferri is now able to offer a full range of solutions in geosynthetics frommembrane liners, through drainage geocomposites to high strength geogrids and textiles. Maccaferri would like to take this opportunity to thank all those who attended their booth, playedtable football, competed for the free lap-top and enjoyed the special Playstation games with them! The lucky winner of the laptop will be informed after the World Cup Final on July 11th! Maccaferri recently exhibited at the World Tunnelling Congress in Vancouver, Canada. Delegates attended many training courses, exchanged the latest knowledge on tunnelling technology andnetworked with peers. The event coincided with Maccaferri securing a major contract to supply Wirand Steel Fibre concretereinforcement products to the York Region, Toronto, Canada. Working with Armtec, Maccaferri is supplying fibres for the production of pre-cast concretesegments for use in the Region of York South East collector trunk sewer tunnel. This project usesWirand FF3 steel fibre to completely replace all the traditional rebar in the precast concrete tunnelsegments. The project is believed to be the largest steel fibre project in Canada and the first precastsegment tunnel in the Greater Toronto Area using 100% steel fibres. Maccaferri had to overcomerigorous specification and performance requirements with the client to be successful in this project. The purpose of the congress for Maccaferri was to educate the global tunnelling market about theirlatest acquisitions and show a range of products it now offers the tunnelling market. In addition tothe already established steel and polymer fibre reinforcement, Maccaferri now offers systems foruse at all stages of tunnel construction from primary to final linings. The range includes drainagesystems, shotcrete chemical additives, fiberglass bolts for excavated face stabilisation, steel bolts forfirst fix support, composite reinforced drains and ceramic decorative final linings. Maccaferri would like to take this opportunity to thank all those delegates who attended their boothand showed interest in this new market offer. Dr David Cheer joins as Northern European Rockfall Mitigation Specialist and Dr Richard Bennett asEuropean Pavement Specialist. Dr Cheer is an engineering geologist with a PhD in Structural Geology. He brings recent experiencewith a specialist rockfall mitigation contractor, where he was Engineering Manager. His role inMaccaferri will focus on the provision of technical leadership on the implementation of our rockfallprotection solutions including soil nailing, rock bolting, catch fences, drapery and surfacestabilisation systems. Dr Richard Bennett is a pavement engineer with extensive experience in pavement engineering,geotechnics and materials. He combines a research background in bituminous materials, concreteand soil mechanics with significant practical experience in pavement investigation, design andconstruction. Dr Bennett has experience working overseas, having spent time in EMEA, Asia,Australasia and the USA. 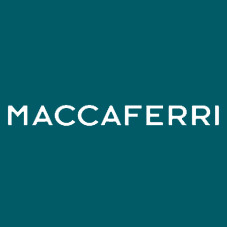 His technical leadership will facilitate promotion of Maccaferri’s wide rangeof pavement materials including steel, glass fibre and polymeric reinforcement geogrids andgeotextiles.